A cycling facility which is being proposed for Swansea has received a major boost from Wales and GB triathlete, Non Stanford. 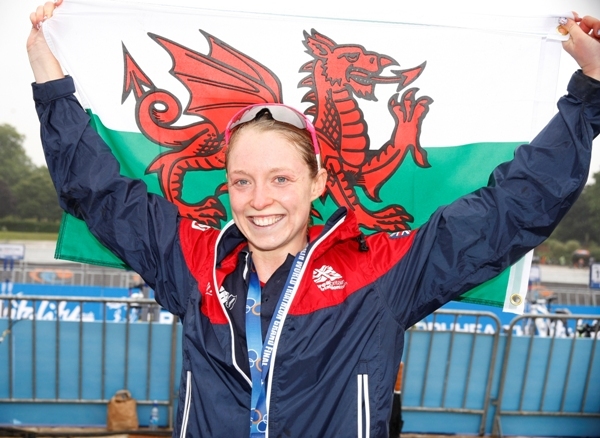 Swansea-born Stanford, a former World Triathlon Series Champion has backed the project to establish the facility in Craig Cefn Parc. The facility is being proposed by Gower Riders Cycling Club as part of Mawr Community Council’s project to develop a number of multi-generational community facilities, such as a recreation area which will include a children’s playground, a multi-use games area, an adult exercise and fitness area and a BMX track. “I am delighted to be able to support this project,” said Stanford. “I am very proud to call Swansea my home and when the opportunity arose for me to be a Champion for the project, it was something I was really enthusiastic about. “Cycling and sport in general is so important in encouraging healthy lifestyles and when the only opportunity to ride in your local area is on the open road, it becomes even more difficult to engage young people in the sport. Hopefully this facility will be able to alleviate that problem. The project to establish the facility is being led by Gower Riders Cycling Club. “Gower Riders is an award winning cycling club, yet we lack a suitable facility for our members. “This means that our riders have to regularly travel to Carmarthen, Pembrey, Cardiff or Newport to be able to develop, improve and progress in the sport. This is very challenging and is clearly not sustainable. Gower Riders are now calling for more public support for this project, as well as the other projects currently being considered by Mawr Community Council. This can be done by visiting https://www.vocaleyes.org, entering a search for ‘Mawr Community’ and rating the projects listed there. The club is also raising funds to support the development of the project. Donations can be made by visiting https://www.gofundme.com/GowerRiders. Gower Riders Cycling Club was launched in 2012 and provides a series of fun activities for children aged 6-16 as well as adult riders. Gower Riders holds weekly Go-Ride cycling sessions at Gowerton Comprehensive School or Felindre Business Park every Saturday morning. The sessions are an ideal way to introduce young riders to the world of cycle sport and provides a platform to improve their bike handling skills in a fun and safe environment.